Skovish Pools > Company News > Blog > In Ground Or Above Ground? 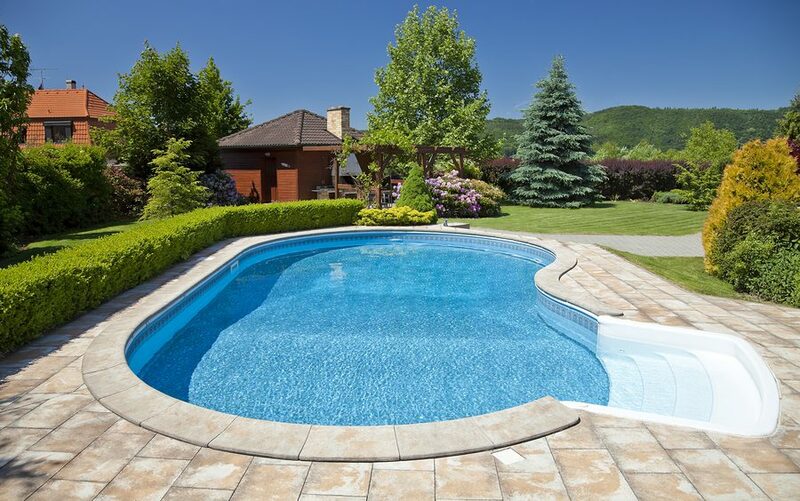 At Skovish, we offer both above-ground and in-ground pools to Shickshinny residents, not to mention the rest of the Wilkes-Barre area in northeast Pennsylvania. These pools come with one obvious difference, but then they’re also different in a few other ways. Above-ground pools cost less to install than in-ground pools. With in-ground pools you have to dig a large hole, dispose of the extra dirt and soil, pour a concrete shell, refill the edges around the new pool, line it with plaster or something more expensive, pour more concrete to make the patio, and install pool equipment with pipes that lead underground. Above-ground pools need a solid foundation and at least some deck leading up to the edge of the pool, and it needs pool equipment, but with no earth to move and less concrete to pour it’s a much less expensive job. Above-ground pools can be big, but they only come in a set number of shapes and sizes and they can never be too deep because that would raise the top of the pool too high. Since in-ground pools use concrete and plaster, they can be practically any shape and depth you want. You will have some restrictions thanks to city codes, neighborhood rules, and the shape of your backyard, but in-ground pools still give you a lot more options. The walls of above-ground pools have to deal with a lot more pressure than in-ground pools, because the second group gets to pass that pressure into the ground around them. Because of that, above-ground pools usually need their lining replaced every five to ten years while the walls can go twice that before needing serious maintenance. As for in-ground pools, the concrete shell can last as long as your home’s foundation and the weakest surface, plaster, can usually last 10 years. On the other hand, resurfacing an in-ground pool is much more expensive. There are other differences between the two main types of pool, but the big advantage of above-ground pools is the low price while in-ground pools offer customization and durability. If you have more questions about getting above-ground or in-ground pools in Shickshinny or Wilkes-Barre, you can contact Skovish Pools and Spas and speak with one of our pool designers.